How to define this past season, one that promised so much but in the end delivered … disappointment. 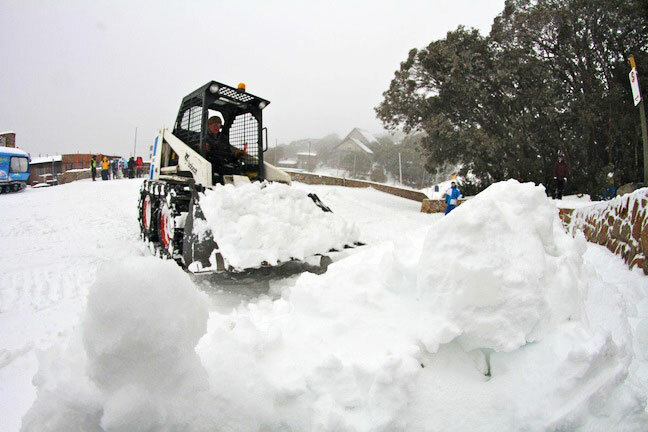 Sure Thredbo, Perisher and Falls Creek kept running until the closing weekend and we went out with over 40cm of fresh snow in the last week, but when you consider the warm, snow-deprived August, it was a frustrating year. A few solid nights of snowmaking in late June built base as the peak school holiday period approached but all eyes were on an approaching cold front, which was due to hit on Monday 4 July. Overnight rain slowly turned to snow but at 6am there was still only a few centimentres and the anticipation was palpable. At last the temperature plummeted, delivering 30cm in the first 24 hours, and it just kept snowing. 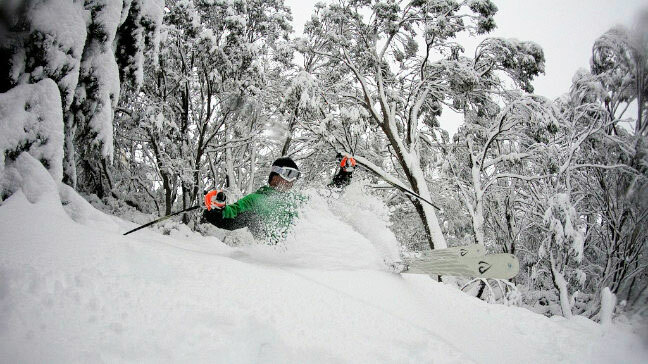 On Thursday morning 7 July we’d had over 95cm since Monday and the day was epic. 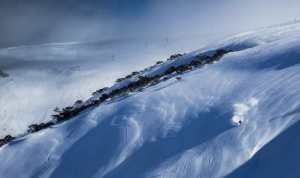 In his blog on Mountainwatch, Chris Booth described that day in Thredbo as his all time best day skiing in Australia. 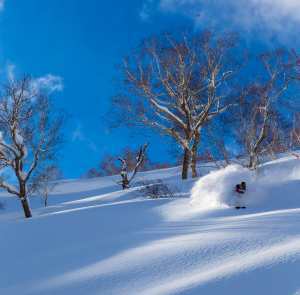 Across all the resorts it was amazing – light, dry untracked powder everywhere and even though it was school holidays it wasn’t that crowded, the masses preferring to stay on the groomed runs. We ended up getting over a metre if snow out of the storm. The official depth at Spencers Creek came in at 158.9cm – the deepest it had been at that stage of the season since 1990. No wonder every one was psyched for a great winter. Unfortunately that was about it for decent snow for the season. It rained on 20 July, the start of an ordinary week with moist southeast winds, drizzle down low, poor visibility and snow showers around the peaks. 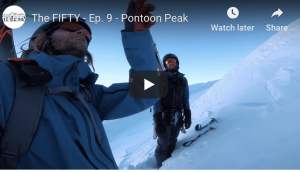 Things improved for the last week of July with cold nights, good snowmaking and some windblown powder days making for some great days in most resorts. 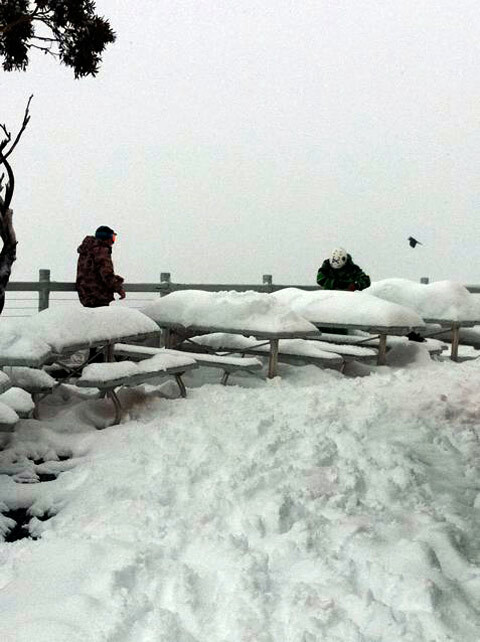 We did get some snow on 7 and 8 August with Monday turning out to be the best day of the month in NSW. Everyone got excited when it started dumping on the afternoon of 10 August, Falls and Hotham were reporting 40cm by 10.30pm. Unfortunately a wind change to the southeast saw the temps climb three degrees in a mater of minutes and the snow turned to rain; it rained all night. That was the story all August, cold fronts that weren’t cold enough pushed south by stubborn high-pressure systems. Mount Baw Baw didn’t even see out of the month before closing for the year, Selwyn was only just hanging in and Buller was a relying on man-made snow, the off piste areas done for the season. September wasn’t much better, a couple of snowfalls helped maintain the cover, but by mid- September another very warm period did its damage and the meltdown accelerated. Selwyn was gone and Buller was just hanging in, Hotham faring little better while Falls was doing the best of the Vic resorts. The bottom of Thredbo was done and dusted which meant having to download, a rarity in these days of sophisticated snowmaking. 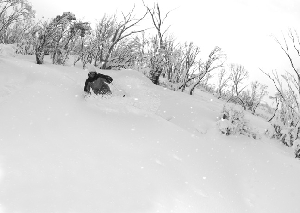 Perisher was still surprisingly good, offering the best snow in the country, particularly around Mount P. Then on 27 September a 70mm overnight rainfall turned to snow and dumped over 40cm in two days. 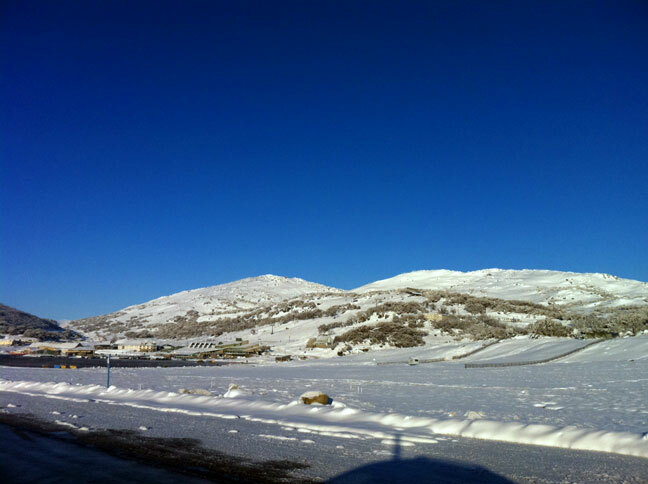 The closing weekend was the best skiing since July and the lifts have closed with a great cover of snow above 1600m. Although good snowfalls bookended the winter it was all too little. After a very good late June and early July we ended up with a spring that started in August. While there was skiing from start to finish, the winter of 2011 will not be remembered as one of the great ones.